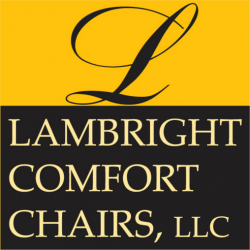 Model Lambright Elite: 30"W x 41"H x 35"DMaterial Options: Standard Fabric, Premium Fabric, Primera,..
Lambright Harrison Recliner: 30" Wide x 35" Deep x 41.5" High***Also available with 37" H (shorter b..
Model Lambright Superior Recliner: 33"W x 38"H x 35"DMaterial Options: Standard Fabric, Premium Fabr..
Model Lazy Lounger: 27"W x 41"H x 35"D27.5" (top of seat to top of back when upright)63" (depth when.. While offering superior comfort our recliners take up very little space. These aluminum and ste..
Model Lambright Lazy Relaxor Lite: 24"W x 38"H x 36"DMaterial Options: Standard Fabric, Premium Fabr..
Model Lambright Luxe Recliner: 29"W x 40"H x 35"DMaterial Options: Standard Fabric, Premium Fabric, ..